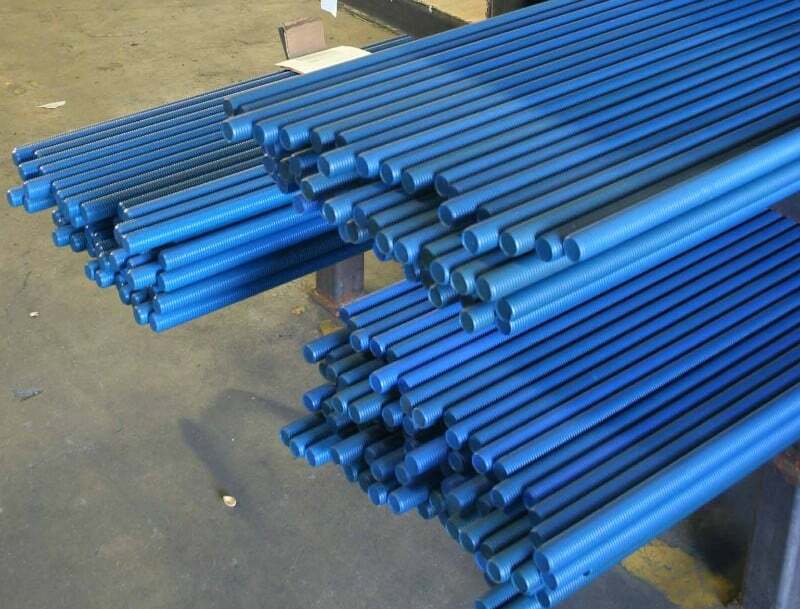 Metal Coatings Corp. maintains a huge stock of coated B7 rods. Available for same-day shipping in a wide variety of sizes, each is expertly coated with the proprietary FluoroKote #1® fluoropolymer coating process that offers easier assembly, fights corrosion and prevents seizing and galling. Pre-coated rods are sold to fastener distributors only in bundle quantities. Fluorokote #1 offers superior corrosion resistance because of its’ three step coating process. Three coats are applied to the fasteners, first a corrosion resistant base coat, then an adhesion coating and finally a fluoropolymer topcoat. All coatings are essential to the long-lasting life of the fasteners. This PTFE coating provides the added benefits of a low coefficient of friction and good chemical resistance.